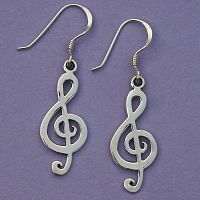 - Artistry in sterling silver— this is a perfect piece for any music lover or musician. Pendant measures 1 1/2" tall including bail, and comes with an 18" sterling chain. 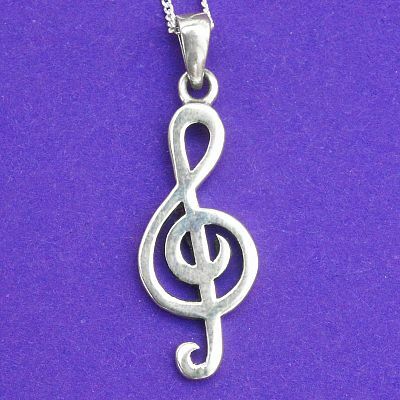 Do you have any other questions about our Silver Treble Clef Pendant?